Distributed Ledger Technology, popularly known as blockchain, has the potential to change several integral pieces of the pharmaceutical supply chain, and address significant problems impacting the industry. At this point, we have public safety being compromised through diversion of controlled substances, counterfeit drugs, poor quality control during transport and storage, and other critical issues within the pharmaceutical supply chain. Distributed ledger technology has the means to address many of these challenges. There is an estimate $200 billion in value lost to counterfeit drugs annually, and costs associated with poor quality control in raw materials and transport and storage of vaccines and other temperature sensitive drugs have not been estimated. The Drug Supply Chain Security Act will impose regulatory compliance on the industry by patching holes in the dam where leaks have occurred. They are mandating standardized package labeling for warehoused wholesale drugs, for instance, and licensure and reporting requirements for distributors. This effort is being overseen by the FDA, and is for the American pharmaceutical industry. But Pharma is a global industry, and regulations, enforcement, quality assurance, and transparency throughout the supply chain is being regulated by country. Blockchain is global and is not under the control of a single government. Distributed ledger technology has several principles that make it useful for chain of custody applications and specifically the quality assurance of the pharmaceutical supply chain. Security, privacy, reliability, and immutability all are qualities of the technology that make it a good choice for supply chain and chain of custody applications. Specific challenges to the pharmacy supply chain that could be impacted by adopting distributed ledger technology to chain of custody and quality assurance include diversion, safety and provenance of raw materials, the ability to trace products through a system, regulatory compliance, and other supply chain issues. Diversion of controlled substances is occurring at every stage of the system that gets medicines to a person, from raw materials and manufacturing, to transportation, to distribution and storage, to the individual pharmacy, medical office, hospital, and down to the prescriber and patient. This system-wide diversion is fueling the opioid overdose epidemic that is costing so many lives, and in addition is adding cost throughout the system through lost resources. 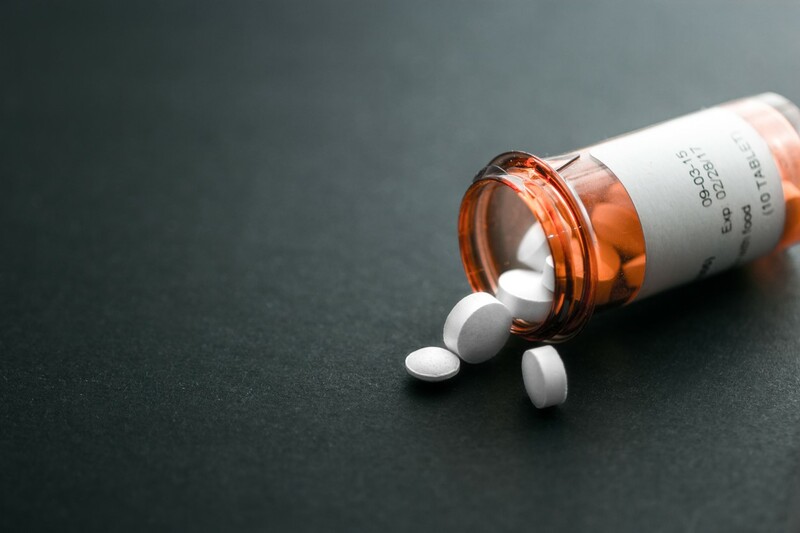 The DEA and various medical associations and groups are writing guidelines for prescribers, in which best practices for the individual prescribing of opioids is addressed. For supply chain diversion, they have expensive investigation, and can impose fines and external controls. But blockchain can address the issue by imposing an immutable chain of custody of the drugs from identifying raw materials, through the manufacturing process, through packaging, distribution, and storage. And because the nature of blockchain means it is distributed and has verification and confirmation functions, as well as strong identity functions, the risks of diversion throughout the system can be immediately reduced. Regulatory compliance and investigation of diversion can have reliable identification. Quality assurance functions are critical for vaccines and other temperature and climate sensitive drugs to get through storage, shipping, and distribution systems to the end-user. Distributed ledgers can track and document conditions such as temperature of storage facilities, dates of movement, and handling in a system that is not amenable to fraud or corruption. The same ability to institute a strong chain of custody will ensure the quality of raw materials through the supply chain, reduce the risk of degradation or diversion, and ensure both traceability and transparency throughout the supply chain. By far, the largest concern regarding the current pharmaceutical supply chain system is the patient safety and monetary losses associated with counterfeit drugs. Counterfeits can be currently inserted into the supply chain, and the real drugs diverted, at many points throughout the system. Of particular concern are shipping and transportation, warehousing and storage, and other points where large volumes of pharmaceuticals are moved from one entity to another. With the unique identifiers available, transaction confirmation, and immutability of records, blockchain may be in a position to address some of these high-risk transfer points. In addition to the drug supply line issues, and the current uses of distributed ledger technology for medical records safety and HIPPA compliance, several issues in health care are amenable to use with blockchain technology. Automated billing and payments services can reduce fraud throughout the insurance systems, including significant annual Medicare fraud. An ABC News investigation in 2015 found $60 billion in improper payments through the Medicare system. The advent of the Internet of Medical Things, including the new technologies associated with telemedicine platforms and other remote access devices, will need to be both connected and secured in order to meet current regulatory and privacy restrictions for medical devices and information. The current estimation is that by 2020, there will be 20-30 million healthcare IOMT devices connected around the world. Including remote portable diagnostic tools, vital signs monitoring devices, personal emergency response devices, this new tech is designed to improve quality of care while reducing health care costs. As a type of medical information, it will be subject to the same privacy laws as current medical records. Blockchain will also add safety to this process, as immutable data is collected, recorded, and then verified and confirmed. The integrity of the global drug supply is of paramount concern, both for the human cost of fraud and diversion, and the staggering economic impact of counterfeit drugs. Governments are attempting to address needs by imposing additional regulatory burdens, but new technology solutions may address a number of issues. Blockchain uses discrete identification. Data is private and immutable. Transactions are verified and confirmed and there exists the possibility of traceability. Blockchain is resistant to fraud, graft, and violations of public trust.